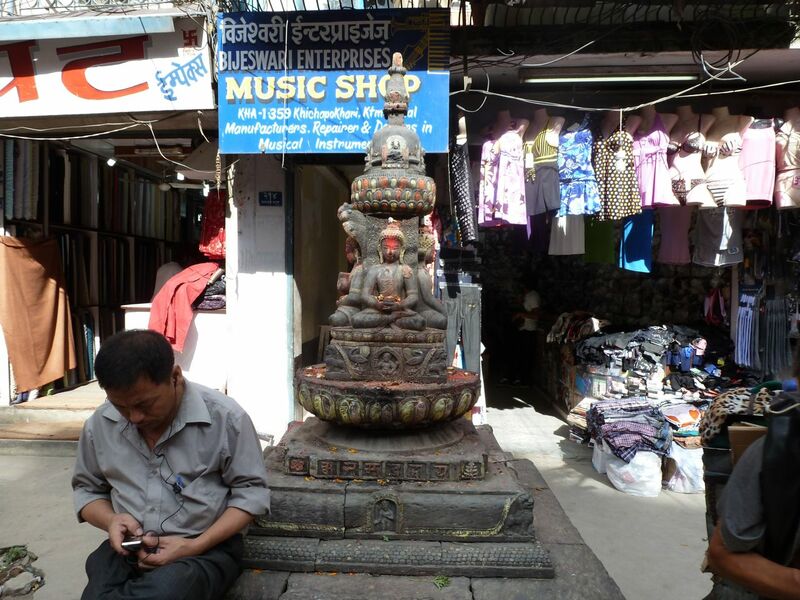 One thing I have always loved about Nepal are the many spiritual, religious spaces. 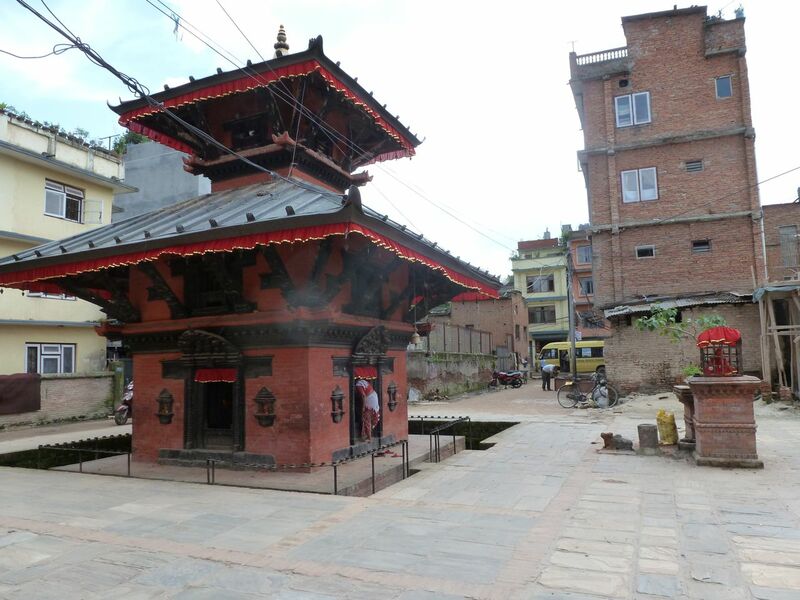 There are the large temples and stupas like Pashupatinath and Boudhanath, but I particularly love the small, intimate religious spaces that you find along the road and in courtyards. When I was here as a student, a social entrepreneur came to talk to our study abroad group about change in Nepal. He had worked with people in Kathmandu to remove trash and debris from their communities, but the areas they had cleaned would quickly refill with waste. The solution that he developed was to place small statues of Ganesh in these cleared areas. 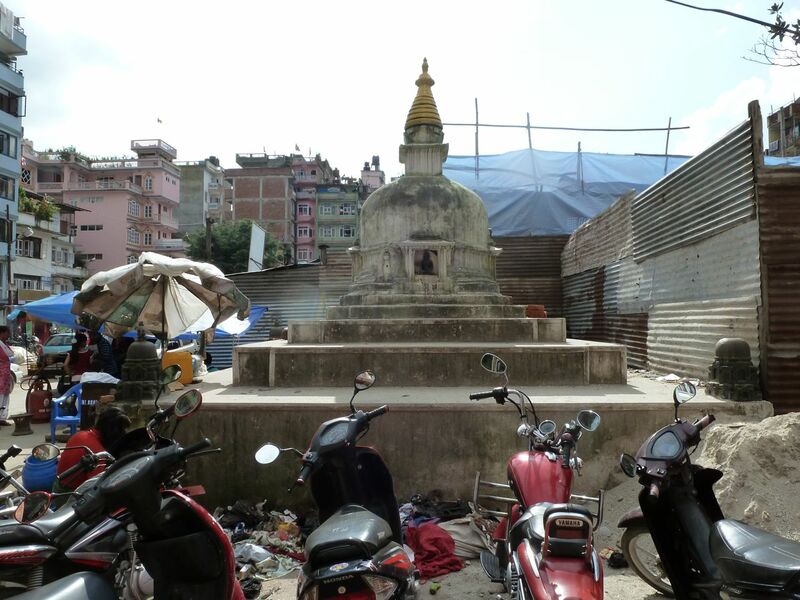 After placing the statue of the god there, people wouldn’t dare to throw trash or waste near the now sacred space. 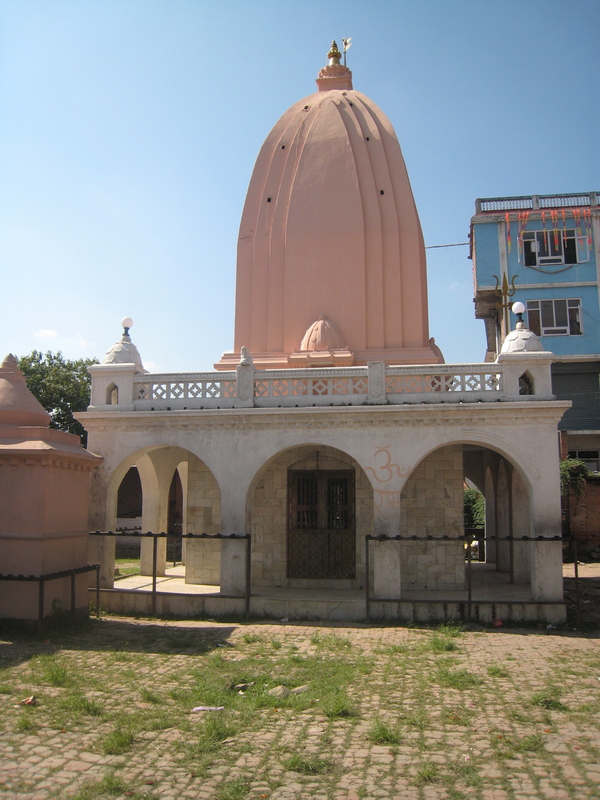 The success of this strategy speaks to the significance of these types of religious and spiritual spaces in Nepal. They also usually have quite a bit of commotion going on around them, which makes them not only religious but social centers as well. People go there to pray, give offerings, or meet with neighbors and friends. They’re all over the place if you look for them. 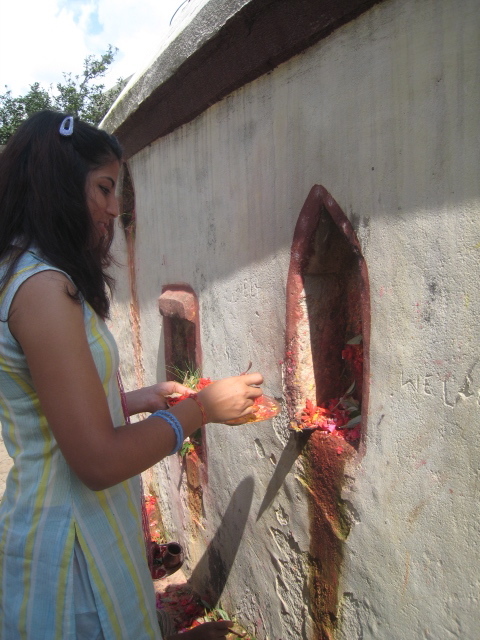 Here is a picture of my hos t sister from two years ago, giving offerings at the small mundir (temple) in our neighborhood. Here is one of my favorites. I took this picture when I was here before, visiting one of my friends in a small town on the outskirts of Kathmandu Valley. It looks very different from other temples I have seen in Kathmandu.